January 28, 2011 Burgers, Greensboro, Type, Where do you want to eat? 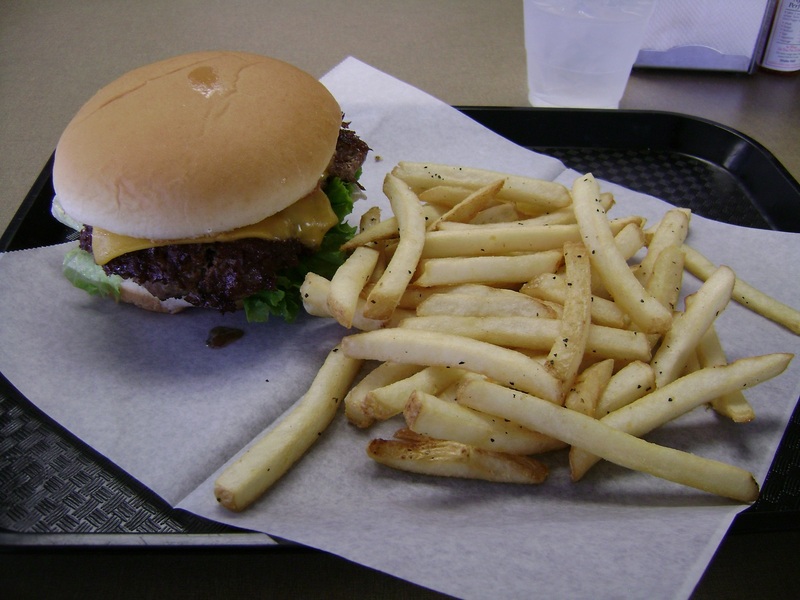 A new burger joint has opened up in Greensboro near the intersection of Elam & Walker in Lindley Park which is right down the street from UNC-Greensboro. 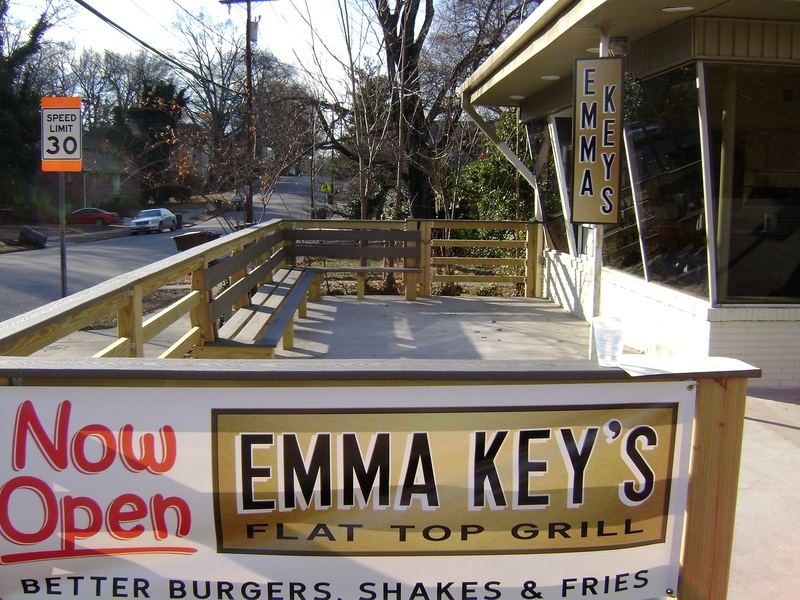 The place is called Emma Key’s Flat Top Grill and it was opened by Emmett Morphis, a partner in Fincastle’s Diner in downtown Greensboro, and his wife, Lee. 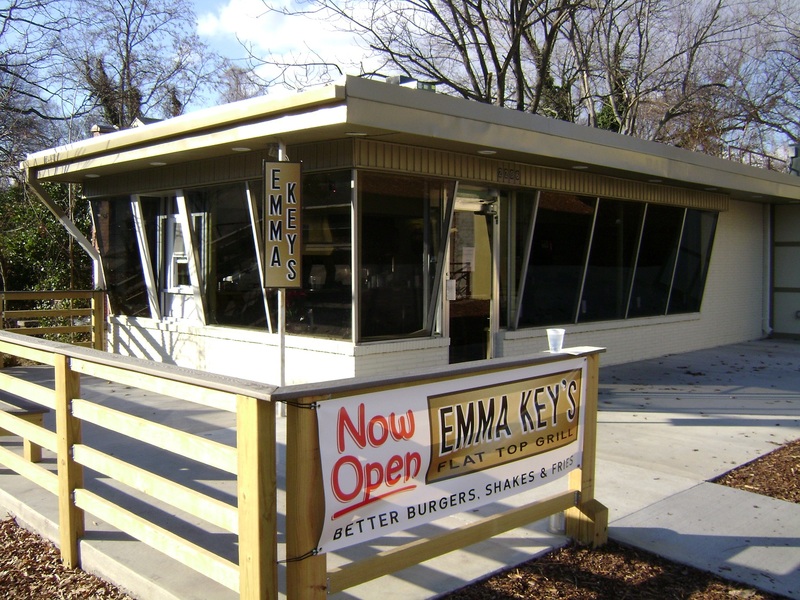 Emma Key’s is a lot like Fincastle’s but more focused on their burgers and milkshakes. There are a few off-the-wall items on the menu like a cheese cube plate dusted with a Rendezvous (the famous rib joint in Memphis) dry rub and served with a Memphis-style barbeque sauce to dip or the Moo Moo Platter which is grilled cheddar, provolone & Swiss triangles served with warm marinara or the (coming soon) New Orleans Sno-balls which is shaved ice. I haven’t tried these but they just stood out to me as weird things to put on the menu. I have the feeling that they are good but I just don’t know if I could bring myself to order them. I asked the guys at the counter for a recommendation and they said that the James Taylor (a Carolina classic burger: chili, slaw, mustard, onions) was a hit with people and the Lou Lou (the Columbia, SC burger staple: pimento cheese) was another favorite. I love both of their recommended styles but really was just in the mood for a regular cheeseburger without any crazy toppings so I just went with lettuce, tomato, mustard and ketchup. The ketchup was actually a special house-made Tabasco ketchup which had a nice kick. 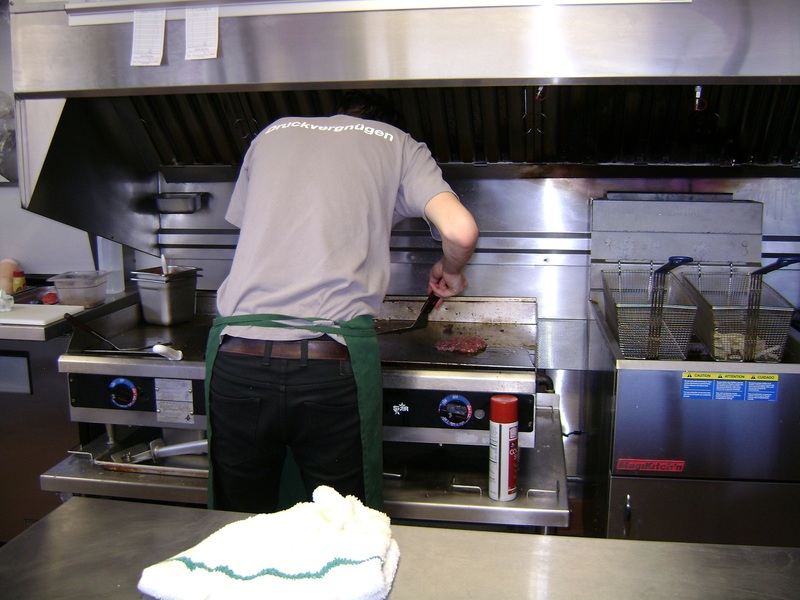 Emma Key’s keeps up the Fincastle’s tradition by tossing a ball of high-quality meat on the grill and then smashing it into a patty and searing it to a crispy, delicious finish. My burger was great. It was both tender and charred they way a flat top burger should be. The fries were great. They were tossed with fresh sea salt and then I added a little bit of cracked pepper to them. I could tell that they were using fresh oil to fry them with because each fry actually tasted clean. Ask for a little bit of Tabasco ketchup on the side if you want to give them a little bit of a kick. 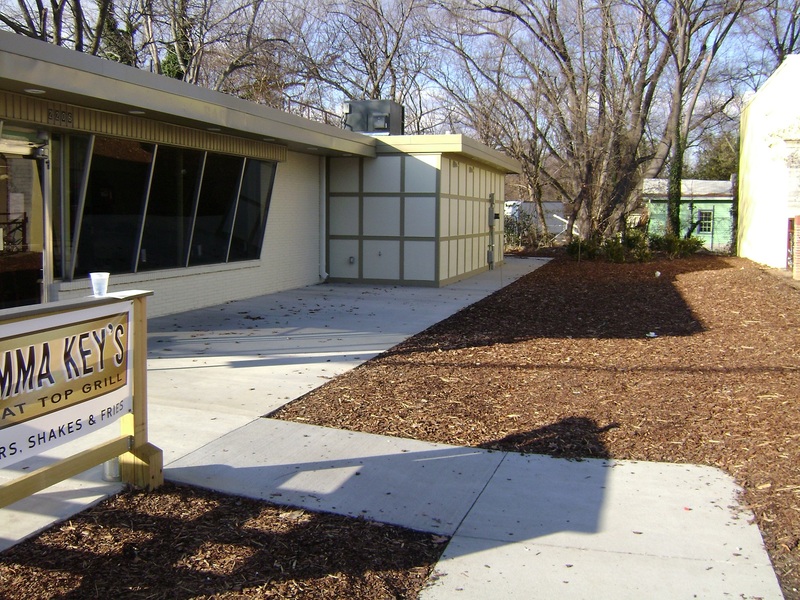 The building that Morphis turned into Emma Key’s used to be an old neighborhood barbershop that has been sitting abandoned a pretty long time. The abandoned building was a bit of an eyesore in the neighborhood so I am glad to see something in its place. In terms of size, Emma Key’s isn’t very big. They have a lunch counter that seats about nine to ten people (guess-timation because I forgot to jot down the exact number) and a few tables to sit at but there really isn’t that much room. I think that one of the major issues that Emma Key’s faces is their parking which is almost not existent. They did lease some parking from Suds & Duds, the single greatest laundromat bar in existence, a block away but that lot can get pretty packed during peak hours. There is also closer street parking along Elam & Walker giving a few more options to people who are trying to eat at Emma Key’s. It isn’t that I am worried about walking a little longer to get to lunch (God knows I need it…) but the lack of a parking lot will make me want to go there if the weather is good. No parking lot also poses an issue for handicapped accessibility to the restaurant. I definitely recommend that you stop by Emma Key’s Flat Top Grill and pick up a burger. I think this place is going to a great addition to the Lindley Park restaurant line-up and the burger is fantastic. I will try to get the menu scanned and added onto this post so you can take a look at it. I am the founding blogger of Eat It, North Carolina. I started Eat It, North Carolina because I am always looking for awesome, local restaurants in different places around North Carolina but have never been able to find one place on the Internet that lists them. I'm a recent graduate from East Carolina University & currently live in Greensboro. I like all types of food but am a sucker for Chinese and greasy spoons. The place isn't that good an the owners have posted false reviews to try to boost sales. Try for yourself, you'll see. Well we gave it a go today. Really awesome building, but the chili was downright inedible. A for effort, D+ for food.